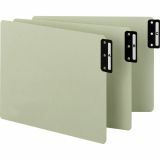 Smead 100% Recycled Extra Wide End Tab Alphabetic Pressboard File Guides - End-tab Pressboard Guides are used to divide entire filing systems into smaller groups for quick identification. Alphabetical tabs are readable from both sides for quick reference while filing. 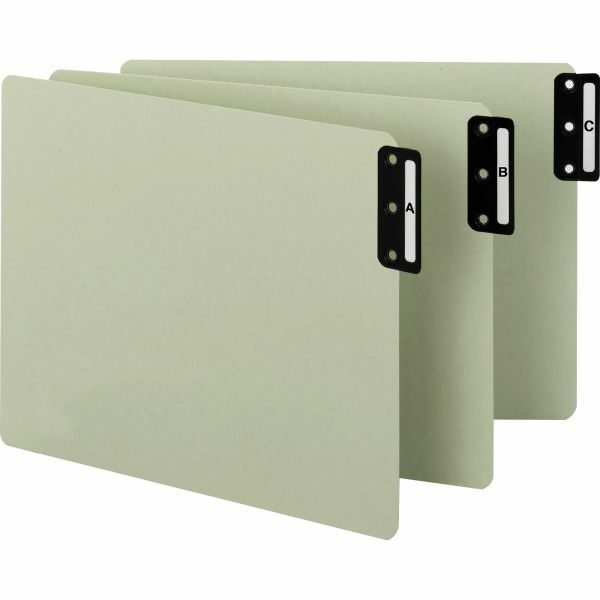 Guides are wider than standard end-tab folders so tabs stand out. 25 point green Pressboard is durable for frequent use. 1/2 wide tabs with vertical style No. 8 are in the top position. Each end-tab guide includes a flat metal tab. Guides are made with a high percentage of recycled material."